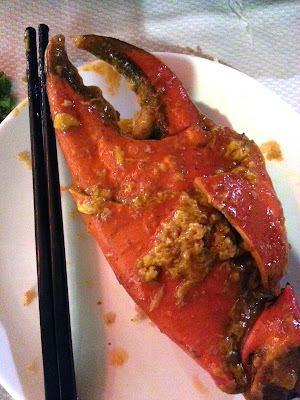 The famous gigantic chilli crab. Its claw is almost the size of my palm! Scallop partially wrapped in crunchy deep fried yam ring. After almost 12 months living in Singapore, finally, I managed to try the famous chilli crab! One gigantic crab weighting 1.6kg shared by dear hubby and me. It was more than enough if you ask me. We were so stuffed at the end of the meal. 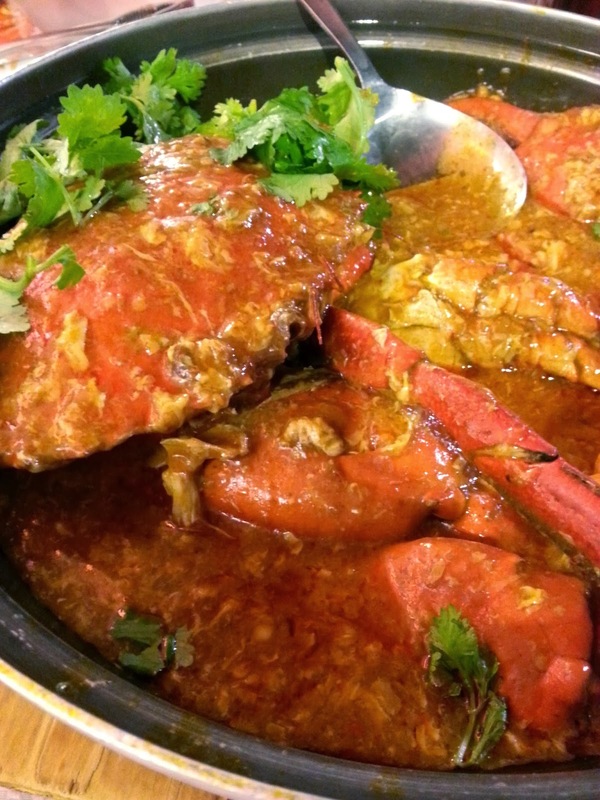 This whole 'must-try chilli crab' is a hoopla, in my opinion. It doesn't taste as good as people say, well at least to me. Perhaps, it's due to the fact that I was born and raised in Penang for 17 years, my Penang tastebuds are a tad too fussy. Moreover, I dislike the fact that we were allocated 75 minutes (from the moment we're seated on our table) to finish the meal, including waiting time for our orders to be served. Nevertheless, chilli crab gravy goes well with man tao (chinese plain bun made out of flour), either fried or steamed. I prefer the fried ones. It has more flavour, and it's crunchy on the outside and soft on the inside. 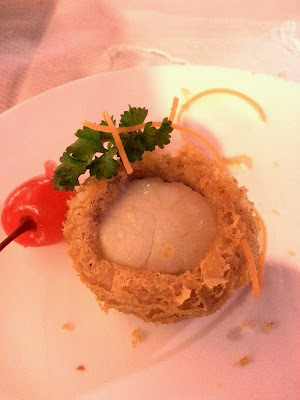 We also ordered the recommended scallop with yam as appetizer. A must try for yam lovers like me, of course. Sweet and savoury combination in a platter, a small serving comes in 6 pieces. The bill came up to SG$146 for a 1.6kg chilli crab, 6 pieces of scallops, 6 pieces of man tao and 2 drinks. It's inexpensive for a standard seafood meal in Singapore but, if I do a currency conversion to ringgit, phew.... it's sure expensive. At that price, I can have a seafood feast back in Malaysia. Jumbo Seafood has 5 outlets in Singapore and 1 outlet in Shanghai. The one that we dined in is at Riverside Point. Reservation is advisable, unless you love lengthy queues. Labels: Country I live in: Singapore, Wow! Check these out!